streamlined way to save you time and money. In 2012, Sanmina-SCI Corporation a leading electronics contract manufacturer undergoes training on the M/PCpS Methodology for Process Characterization. Sanmina-SCI is recognized as a technology leader, providing end-to-end manufacturing solutions in the communications, defense and aerospace, industrial and semiconductor systems, medical, enterprise computing and storage, and automotive sectors. 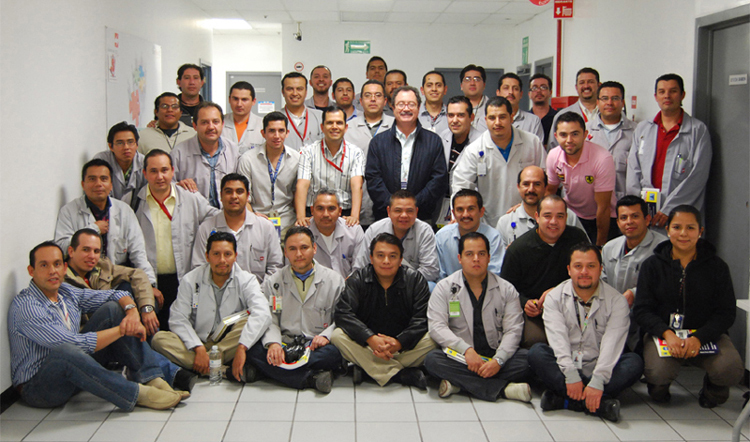 Arvin North America Automotive Inc. Starting in 1992, Arvin N.A. Automotive, which operates one of the world's most extensive technical centers dedicated solely to research and development of exhaust systems, underwent an implementation of M/PCpS to characterize all their processes. A.N.A.A is a leading manufacturer of original equipment automotive exhaust systems, including mufflers, exhaust and tail pipes, catalytic converters, fuel filler tubes and small diameter tubing products. Over three thousand equipment and processes were characterized including tube benders, sizers, notchers, welders, hydraulic presses, mechanical presses, dickey spinners, heaters, muffler lock seamers, vertical, as well as horizontal, muffler spinners, wrappers, baffle rams, head rams, flare presses, end formers, miter cutters, robot welders, robot painters, plasma cutters, tube mills, doall saws, slitters, milling machines, seam solders, brazing furnaces and metallizers. This diverse variety of processes constituted a strong challenge to the robustness of the M/PCpS Methodology. 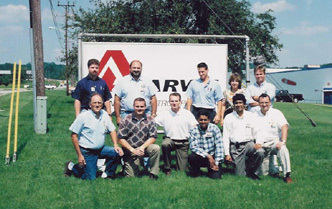 In 1996, Arvin Ride Control Products, a leading manufacturer of ride control products and shock absorbers, embarked on ASC's M/PCpS program for process characterization and optimization. Well known for their world's lightest hand held 4-cycle engine, and makers of lawn and garden equipment sold under the Ryobi brand, as well as by Sears under the Craftsman brand name, Ryobi underwent a three-week training program in M/PCpS starting in 1998, in their quest for world-class excellence. Merv Dunn, President, "I found the class very enjoyable and I learned a lot about machine capability." In 1993, the leading manufacturer of replacement automotive exhaust products and inventor of the mechanical lock and the torque and spiral lock for exhaust products also underwent a program of process characterization and optimization with Advanced Systems Consultants. Burr-Brown is a leading designer and manufacturer of analog and mixed-signal integrated circuits, which translate analog signals from pressure, temperature, speed and sound into digital signals and vice versa. 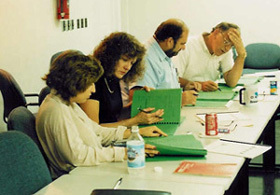 Starting in 1990, it has relied on ASC for M/PCpS training and consulting on experimental design. Early in 1998, ADFlex Solutions, one of the largest manufacturers of flexible interconnects in the USA, and among the largest in the world, embarked on ASC's Variation Reduction Program. Results were best described by Neil Dial, President of Adflex, "...In the latest implementation here at ADFlex we have reduced scrap by 54 % in the last 9 months and we are just getting started! This improved process efficiency is leading to shorter cycle times and smoother introduction of new designs." 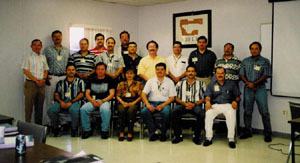 Training and consulting was done in Spanish in the Mexican facilities and in English in Chiang Mai, Thailand and Chandler, Arizona. In 1997, Anadigics, who fabricates radio-frequency and microwave integrated circuits from gallium arsenide, embarked on characterizing, optimizing and controlling their processes in their GaAs wafer fabs. An extensive M/PCpS characterization was performed in their facilities. Anadigics has delivered over 80 million GaAs ICs and was the first GaAs IC manufacturer to receive ISO-9000 Certification. Advanced Micro Devices, Inc. Vitelic Hong Kong Ltd. 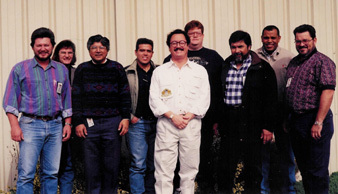 In 1994, with the installation of equipment for its new Fab25 - with 86,700 square feet of Class 1 clean room - AMD requested ASC train its people in M/PCpS, so they could start characterizing their processes and equipment. Fab 25 is among the world's most cost-effective semiconductor facilities with a production capacity of over 5,000 eight-inch wafers per week. As Motorola Inc. entered into an agreement to transfer its proprietary TMOS wafer processing technology to Mosel Vitelic, Advanced Systems Consultants was brought in to train the wafer fabrication plant in Hong Kong. Vitelic Hong Kong Ltd. wafer fab underwent TMOS wafer technology transfer, certification and complete training in M/PCpS and Six Sigma before its planned production by mid-1997. A leading maker of premium sunglasses, including their famous Ray-Ban, Porsche-Design and Killer Loop brands, Bausch & Lomb, Inc. initiated a long term program in 1993 for characterizing and optimizing all their processes in their facilities in Rochester, New York, Oakland, Maryland and San Antonio, Texas. Advanced Systems Consultants' M/PCpS Methodology was used in all of these facilities. Starting in 1992, sponsored by the Sandia National Laboratories, Advanced Systems Consultants was brought into GE Aerospace to institute a comprehensive system to fully characterize machines, process and metrology. The first process studied in a classroom setting was a flame sprayer robot in generator potting and preparation. 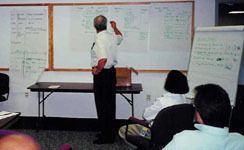 From 1990 to 1992 Sandia National Labs, the national security laboratory which designs all non-nuclear components for the USA's nuclear weapons, contracted ASC to provide training and consulting in the M/PCpS Methodology. 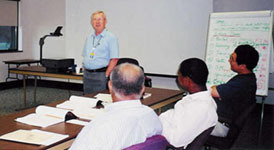 As an assurance that the M/PCpS Methodology was statistically sound, Sandia required the first session be taught to their Phd Statisticians for their evaluation. Zimmer, the first company to report having its one millionth knee replacement implanted in the United States, underwent training in the five stages of M/PCpS Methodology back in 1996-2006. 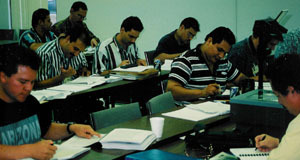 From 1990 to 1993, over 1400 individuals throughout Allied Signal were trained in ASC's M/PCpS Methodology to achieve Six Sigma. 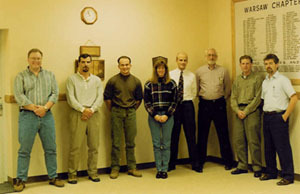 Allied Signal was the first company to undergo Six Sigma after Motorola. 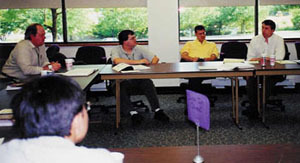 Starting in 1990, ASC was contracted to train the first round of Allied Signal Aerospace's executives, managers and engineers at its Kansas City Division - including the President, VP and their staffs. 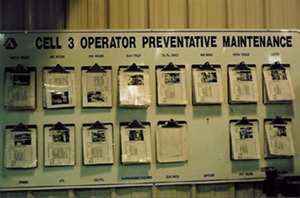 In 2002, Connector Service Corporation embarked on implementing the M/PCpS Methodology to characterize, optimize and control their key processes.